Tomorrow European Union celebrates the 60th birthday. On March 25, 1957, leaders of six countries – Belgium, Germany, France, Italy, Luxembourg, and the Netherlands – met in Rome and signed two treaties that established the European Economic Community (EEC) and the European Atomic Energy Community, later transformed into the European Union. Although Europe is experiencing growing turbulence related to migration crisis, terrorist attacks, and Brexit, among others, the EU project is still the best thing that happened to the continent after The World War II. It allowed keeping peace and wealth for long years and we hope that it will stay that way for the next generations. 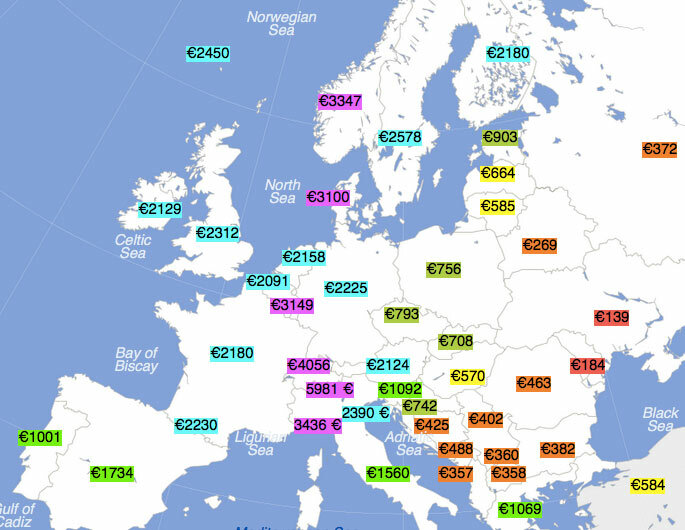 These maps and charts try to explain the sense of European Union. 20. Where does the money for EU funds come from? 26. How old is each individual country in Europe? 27. These are the last kingdoms in Europe. 28. What’s Next after Brexit?